Acne is no fun. It covers your skin in areas you don’t want it the most, like your face, back, and even buttocks. Ranging from mild to highly invasive, acne covers you in pimples that get red, irritated, and sometimes painful, especially with severe acne. Severe acne is harder to treat and leaves more scarring behind. No fun. But the good news is that there are things you can do to prevent acne from getting that bad. Keep reading and find out all you need to know about how to prevent the worst acne. Prevention is key when it comes to acne. If you don’t take the right steps, getting pimples is so much easier. And you don’t want that. A pimple is formed when a pore in your skin gets clogged with dead skin cells, pus, sebum, and excess oil. Reasons for an outbreak can be blamed on poor hygiene, hormones, environmental factors, and genetics. Acne can be where? Some people don’t realize that acne can spread to many parts of your body, like the buttocks. A good way to prevent buttne is through hygiene – regular cleansing, in particular. Another way is to make sure you don’t sit in sweaty, dirty clothing that can clog your pores. 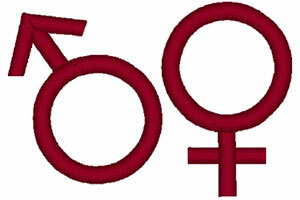 To learn more on how to get rid of buttne, see this article. For some reason, hormones seem to increase the amount of acne that people can get, which is why acne is more common during the teenage years when hormones are fluctuating. Severe acne affects more adult women than men. When hormones are the cause of your acne, seek medical advice on how to control it. 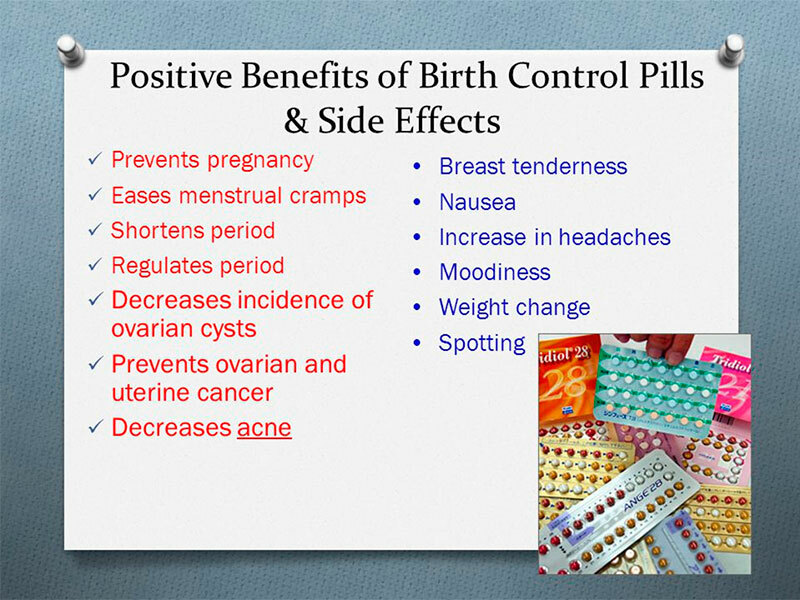 Birth control has been a proved method to control hormones, that will in turn control acne, as well as some diets and nutritional supplements. 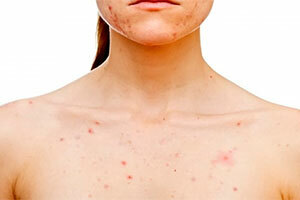 Click here for more information about hormonal acne. Why in the world do people have to deal with this annoying acne? Is it diet? Or just genetics? Well, you can learn all about what causes acne right here. Many babies develop what looks like acne on their face about 2-3 weeks after birth. But most of the time, these raised bumps are not pimples but are caused by eczema, allergies, dietary irritations, or sensitive skin. However, if you’re worried that it’s actual acne your baby might be at risk for, you can try and prevent it by regularly cleansing your baby’s skin with a sensitive, hypoallergenic soap. Further details on baby acne treatment can be found here. Increased collection of sweat on the chest. People touch their chest with their hands, transferring more oils and bacteria. Clothing rubs here, which can further irritate an already sensitive area. To prevent chest acne, you can use the same skin care regimen on this area as on your face, including cleansers and medications. Go a step further and make sure your chest is always kept clean throughout the day to really make sure acne doesn’t spread there. That single pimple on your face has now grown to a face-full of them. What do you do? Thankfully, there’s a solution and all you need to do is learn how to clear acne. Find out here. Acne that shows up on your back, or “bacne, ” is a common problem. Sweat from daily activity collects on the back, and sweaty clothes hold moisture onto your back, as well, all leading to an increase in clogged pores. When you’re washing your face or body, make sure to take great care when it comes to your acne. Exfoliating too hard can tear the skin and cause scarring, or irritate it so much that your acne gets worse. Gentle cleansing and exfoliating is always the best idea. To prevent back acne, make sure you change any sweaty clothing, and keep your back clean and dry at all times. Exfoliation will help, as well. Wash your face morning and night. Use an anti-acne system or treatment. 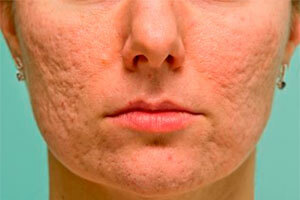 Women have it especially bad when it comes to the risk of acne. Monthly hormonal fluctuations make your body do crazy things, like produce extra oil and sebum, leading to more chance for pimples. A good idea would be to track your period and see when your acne shows up the most, then take extra precautions during that time to prevent acne with things like cleansing and treatment. Don’t just get rid of acne – get rid of it overnight. More details on how to get rid of acne overnight can easily be found here. Men sometimes experience acne on their face after shaving. Many times, this isn’t actual acne, but is razor burn – irritation to the hair follicles which looks just like acne. A good way to prevent this razor burn is to use a good shaving cream that ensures a smooth shave. There are times when pimples can be caused by shaving. This usually happens when dead skin, oil, shaving cream, and other material is scratched off the skin and pushed into pores. A good remedy for this shaving acne is to make sure you cleanse thoroughly after every shave. Nobody wants to be reminded of their encounters with acne, but sometimes that what you’ll get if the blemishes are severe enough. Don’t pick or scratch your acne. Follow a strict acne-prevention regimen to ensure the least amount of pimples possible. Don’t squeeze pimples, as this can also cause scarring. If you do end up with acne scars, there are treatment options available such as laser therapy, ointments, and light therapy. Cystic acne is the most severe form of pimples. Instead of a clogged pore at the surface, cystic acne lies deep in the skin, forming pockets of infected material that are so far down it prevents it from surfacing. These pockets press into sensitive tissue, causing pain, intense redness, and large welts. The causes for cystic acne are many, and include hormonal and environmental. You can have cystic acne on your chin, cheeks, chest, back, and shoulders. To prevent cystic acne, make sure to cleanse your skin with products containing salicylic acid that can effectively unclog pores and prevent the acne from ever forming. Naturally occurring ingredients like aloe and tea tree oil can help prevent cystic acne, too. These medications will most likely only be used if you’ve had acne in the past and are trying to prevent it from recurring again. Although acne is not often caused by the food you eat, there are supplements and nutritional practices that can effect the way acne behaves. Find out more about an acne diet here. Keeping your face clean is most likely the best way to prevent severe acne and the scars that come with it. Remember to do it morning and night! These special ingredients work to dissolve the grime that clogs your pores, whether on your face or body. They’ll also get rid of excess dead skin on the surface, helping to prevent new clogged pores in the future. Apply acne soap and rub gently but firmly onto your face in circular motions for at least two minutes. Follow with a mild, oil-free moisturizer. You can also use acne spot-treatments after washing, if desired. For men, remember to properly cleanse after shaving, as well. So, what if you know you don’t want acne, but all the procedures and information about how to prevent it is overwhelming? Change out of sweaty clothing right away. Make sure your hair products aren’t too greasy (they’ll transfer onto your back and can cause “bacne”. Limit sun exposure (it can increase inflammation). Consider nutritional supplements or a healthy diet that feeds nutrients to your skin. Once you find out you’ve got acne, don’t panic, just take action. Do what’s necessary to make sure your acne goes away instead of turning severe. Clear skin isn’t just a dream anymore – if you take the time to do what you should, it’s completely possible to achieve, and quick.